Salvatore Ferragamo, the craftsman once dubbed 'Shoemaker to the Stars' after his success in creating made-to-measure footwear for movie stars and celebrities, was born on this day in 1898 in Bonito, a small hill town in Campania, in the province of Avellino. 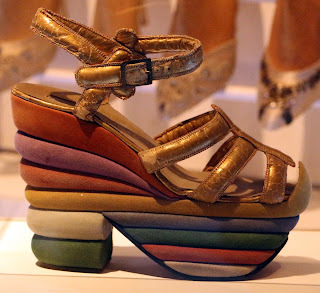 Although in time he would become a prominent figure in the fashion world of Florence, Ferragamo learned how to make shoes in Naples, around 100 kilometres from his home village. He was apprenticed to a Neapolitan shoemaker at the age of just 11 years and opened his first shop, trading from his parents' house, at 13. When he was 16 he made the bold decision to move to the United States, joining one of his brothers in Boston, where they both worked in a factory manufacturing cowboy boots. Salvatore was impressed at how modern production methods enabled the factory to turn out large numbers of boots but was concerned about compromises to quality. This led him to move to California and to set up shop selling his own hand-made shoes in Santa Barbara, where he made his first contacts in the burgeoning American film industry. Eager to make shoes that not only looked good but were comfortable to wear, he enrolled at the University of Southern California to study anatomy. He moved to Hollywood when the movie makers relocated there and it was after opening the Hollywood Boot Shop that he acquired the label 'shoemaker to the stars'. 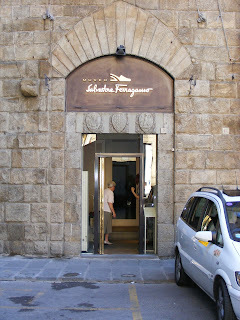 In 1927, after 13 years in the United States, Ferragamo returned to Italy to base his business in Florence, a city with a wealth of skilled craftsmen. He opened a workshop in the Via Mannelli and was soon making shoes for some of the wealthiest women in the world. The collapse of the US stock market in 1929, sparking the Great Depression, hit him hard, virtually destroying the export side of his business, and he filed for bankruptcy in 1933. Yet such was his enterprise and appetite for work that, by concentrating on the domestic market, he was able to make a rapid recovery. In 1936 he rented two workshops and opened a shop in Palazzo Spini Feroni in Via de' Tornabuoni, which he subsequently bought and which remains the company's headquarters. By the 1950s, as Italy recovered from wartime austerity and embraced la dolce vita, Ferragamo was the shoe of choice for wealthy young socialites in Italy and beyond and the company workshops were employing 700 craftsmen turning out up to 350 pairs of shoes per day. 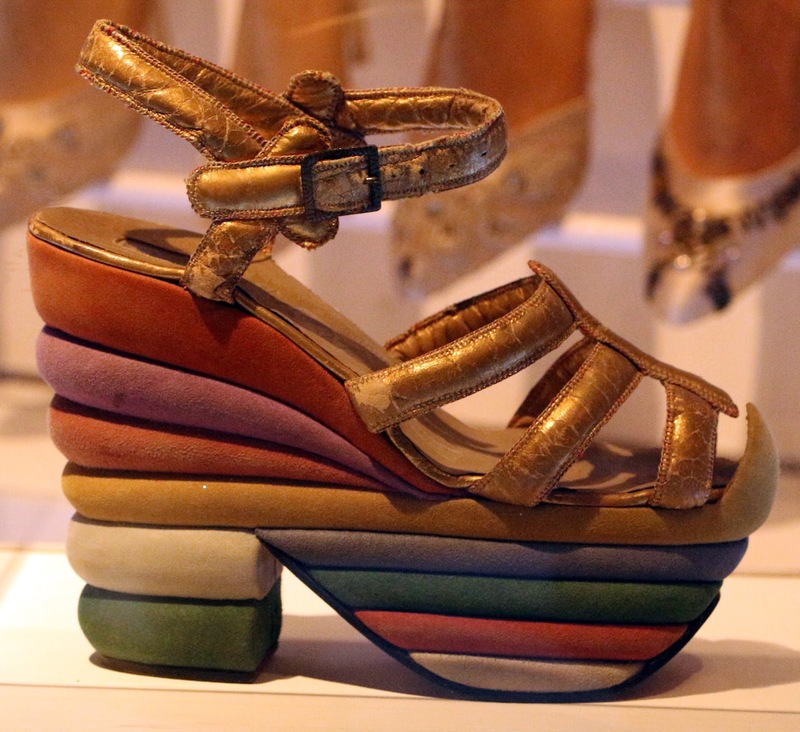 Among Salvatore's creations were stiletto heels with metal reinforcement made famous by Marilyn Monroe, and a platform sandal he made for Judy Garland, which he called The Rainbow as a tribute to the actress and singer's performance in the Wizard of Oz. His 'invisible' sandal, which featured almost transparent nylon thread uppers, won the Neiman Marcus Award in 1947, the first time the prestigious mark of recognition in the fashion world was given to a shoe designer. In 1940 Salvatore had married the daughter of the local doctor in Bonito, Wanda Miletti, who joined him in Florence. They had six children: three sons - Ferruccio, Leonardo and Massimo - and three daughters - Fiamma, Giovanna and Fulvia. Salvatore died in 1960 aged just 62, leaving the company to be run by the family, with Wanda initially in charge. Nowadays, Ferruccio is the president of a business employing more than 4000 people with 550 stores in Europe, Asia and the Americas. It now has a range of products that includes eyewear, perfume, belts, scarves, bags, watches and clothing, as well as shoes. Bonito, perched on top of a hill between the valleys of the Arvi and Calore rivers, is roughly equidistant between Benevento and Avellino in inland Campania. The Church of the Assunta contains the tomb of Santa Crescenzo, an 11-year-old boy killed during the persecution by the Roman Emperor Diocletianus in the third century and subsequently celebrated as a martyr. A museum dedicated to the life and work of Salvatore Ferragamo was opened in 1996 within the company's headquarters at the historic Palazzo Spini Feroni in Via de' Tornabouni, Florence's famed upmarket shopping street. 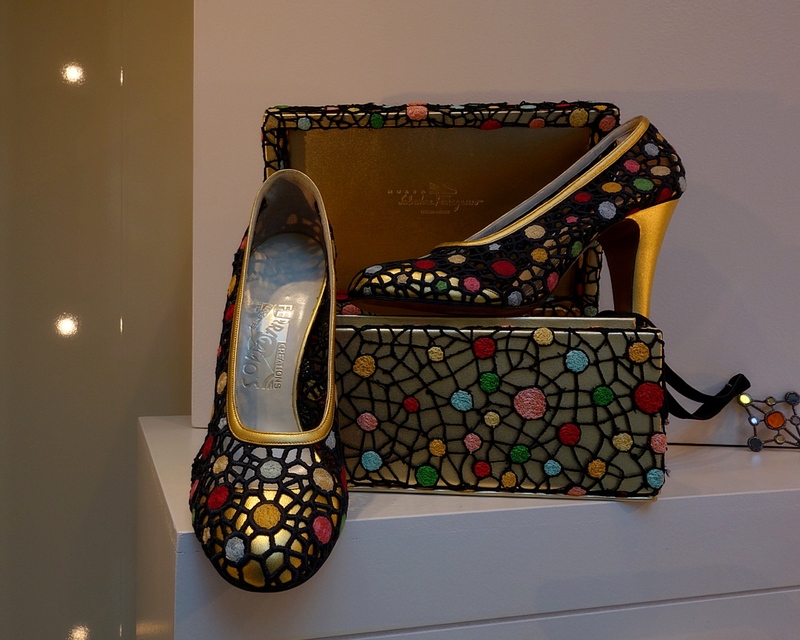 The museum has films, press cuttings, advertising posters, clothing and accessories and a staggering 10,000 shoes created by Salvatore himself or the skilled craftsmen he employed.